Anyway one thing I have noticed growing in popularity at these little soirees is the humble party game. 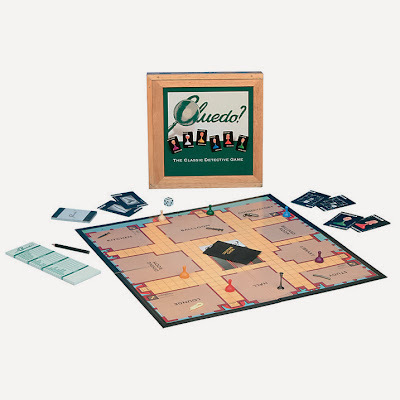 Board games, card games and parlour games are a great way to wind down after a big meal or over multiple cocktails (although perhaps not Twister). Having an old friend around for dinner and long overdue catch-up? Why not do it over this gorgeous french wooden checkers set? The little stylish Parisian faces are reusable stickers and the cotton bag it comes in becomes the board! It's a tres chic £24.50 from Dowse, as is their version of Chess. Nothing says old school like Cluedo, still to this day one of my all time favourite board games. Ever. Perfect for after a family Sunday roast (what else are you going to do, watch Songs of Praise? Argue about who actually ruined Christmas 1998?) The less said about the sacrilegious "modern celebrity" version the better but thankfully they're still making the good old fashioned original version (complete with cast iron murder weapons!). It's available in multiple places but the cheapest I found was £27.06 from Play.com. I have taken a life long vow to Never. Play. 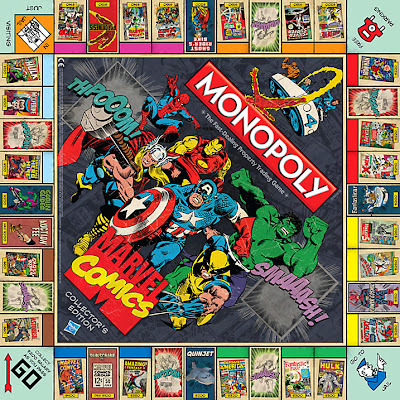 Monopoly. Again. All thanks to my best friend who has forever ruined this game for me by being not only unbeatable, but brutally, apocalyptically unbeatable. She made playing Monopoly such a demoralising and humiliating experience I never thought I could face that little metal doggie again. However I find myself wavering over my sacred vow in the face of this rather amazing Marvel Comics version. Want the chance to buy the Fantatiscar? 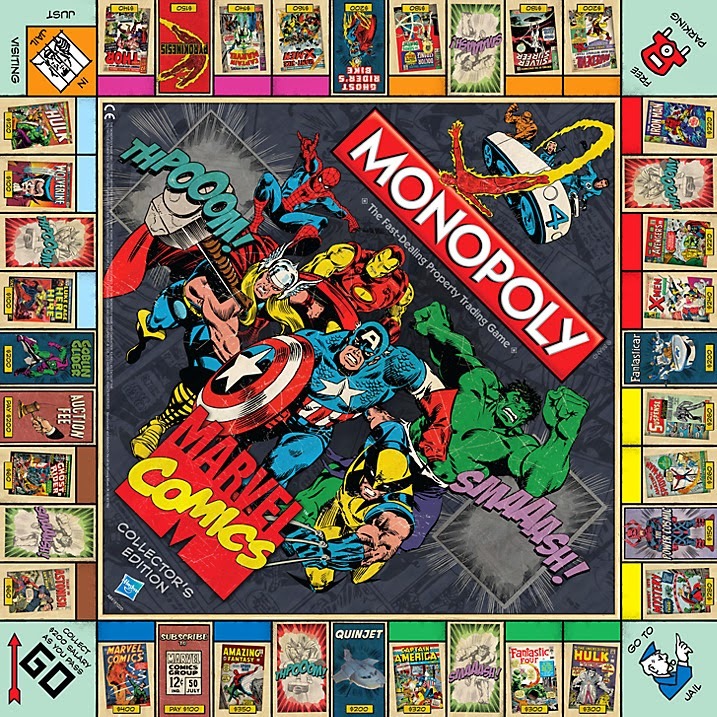 That's $200 please, in Marvel-opoly money of course. Thankfully the actual game is only £29.99 from John Lewis. Bananagrams? 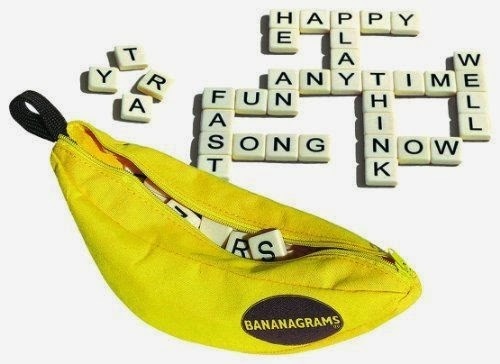 (I hear you ask) Isn't that just a mini version of Scrabble? NO! (I yell) Because a) Scrabble is hard and I am bad at it and b) You don't need to be a massive swotty type to win! It's £10.81 from Amazon and can be furiously fast fun to play. You only ever need to use up your own selection of letters, not impress everyone with the fact you know fancy words like Impresario or Cavalcade. Or Douche. 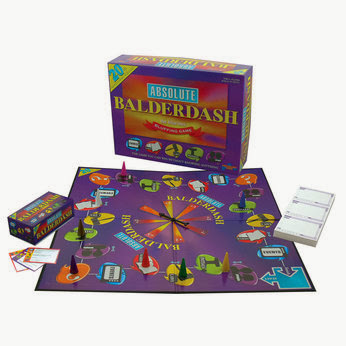 I cannot explain in words how much stupid fun Absolute Balderdash is when played with slightly (ok, very) inebriated friends. And the best part is, you win points for knowing nothing! Don't know what Furfur is? No matter the whole point is to guess, you get a point for each player who thinks yours is the actual definition (for the record Furfur are flakes of dandruff, nice). The big proper version is £24.31 or you can get a mini version for just £4.99 both from Amazon. We know there will inevitably be some long journeys in the next month and we will need something to combat that boredom. Pass the Pigs is one of those games I remember playing with my Dad on long flights or on holidays when the weather failed to live up to our expectations. Mostly I remember not entirely understanding the scoring system but I was OBSESSED with throwing a double snouter (when the Pigs both end up balanced on their little piggy snouts.) 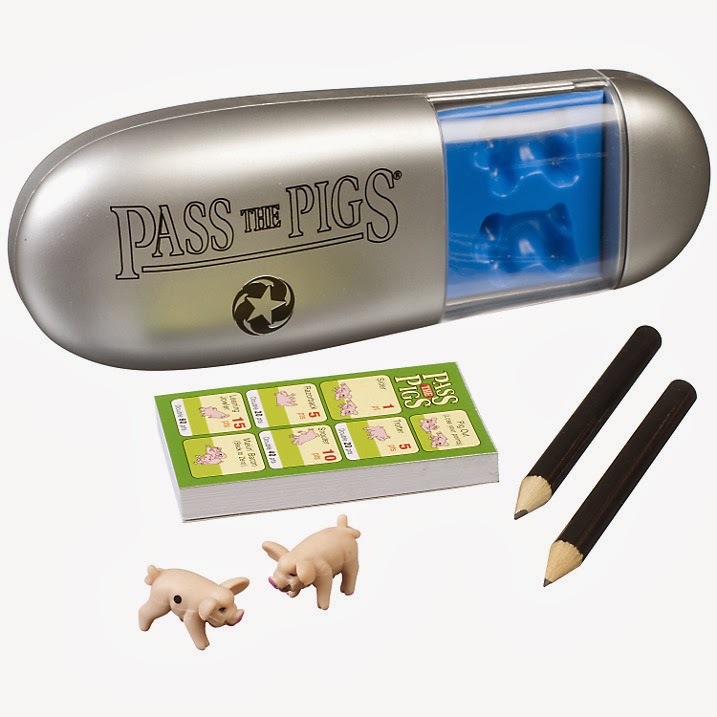 These teeny porkers are £8.00 from John Lewis. 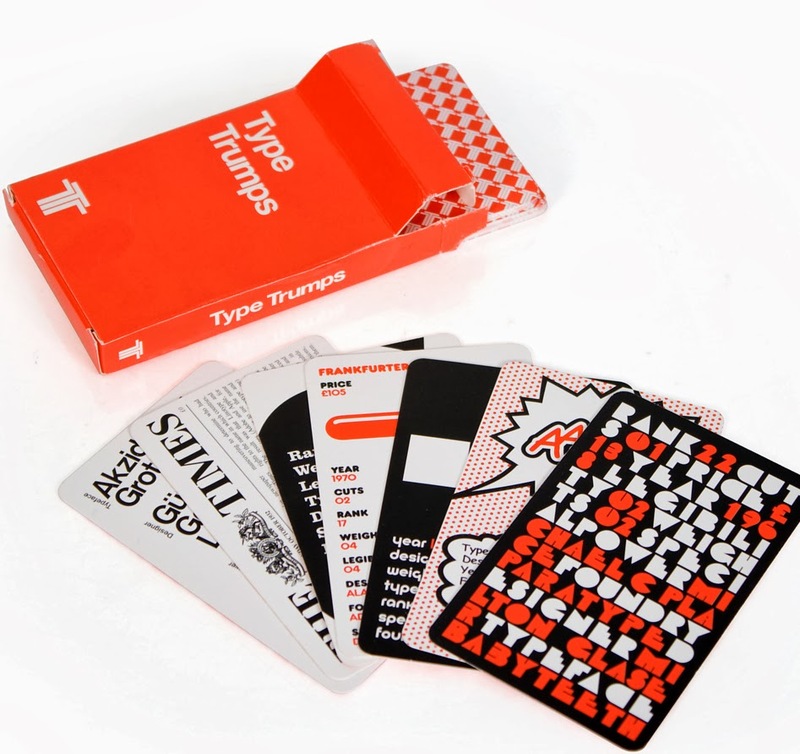 For the times when you might be stuck with a know-it-all cousin or fatally unimpressed hipster sibling, these Typeface trumps cards are the answer. Not only are they super cool and pretty but also informative, each card tells you when, why and by whom the font was created. If that's not endlessly fascinating, I don't know what is (I'm not joking, I seriously find this stuff interesting). 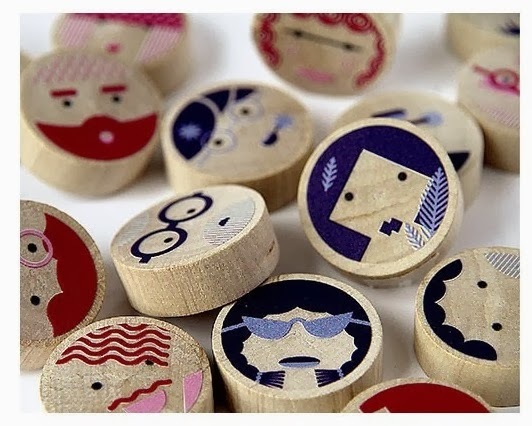 They can be yours for £9.99 from Firebox. God I love this game, it really doesn't get more simple or fun then Cards Against Humanity and they've finally released the UK version on Amazon! Back in July when I was desperately searching for a Hen weekend game I could only print out the smaller free version from their site (which is free, but very American and I had to back all the pages with duct tape and cut them all out. There were blisters, it wasn't pretty). I will definitely be buying this version which comes with 550 cards! It's £20 and all mine. 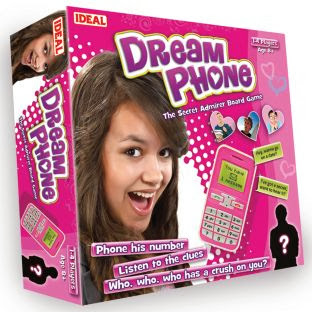 Ha you didn't think I'd forget about Dream Phone did you? Shame on you. I had the original massive 80s cellphone version when I was a kid and loved the beejesus out of it. Is my secret crush Chad? Adam? Jake? Does he hang out at the beach? Does he like hot dogs?! Weirdly my most persistent memory of this game was the guy that randomly said "Hello. I know who it is. But I'm not telling. Ha. Ha" like a smug robot devoid of feeling. I really hope they haven't removed him from this updated version which is £17.99 from Argos. What will you guys be playing? Cards against humanity is my most favourite game in the whole wide world. I agree Cards is one of the most hilarious games I've played. We ended up making up our own questions, the best being "what would your autobiography be called?" The winning card- "Farting and Walking Away"
The UK version of CAH has just solved my "What the hell do I get my dad for Christmas" conundrum. Thank you Holly! Kat, I got it for my birthday and it's brilliant - shall I bring it on the 15th? YES to all of the above. Although I think you need to add Hungry, Hungry Hippos. Technically not a board game, but it is one of the few games where you can substitute marbles with Malteasers. You need to add Ex Libris! Best game ever. 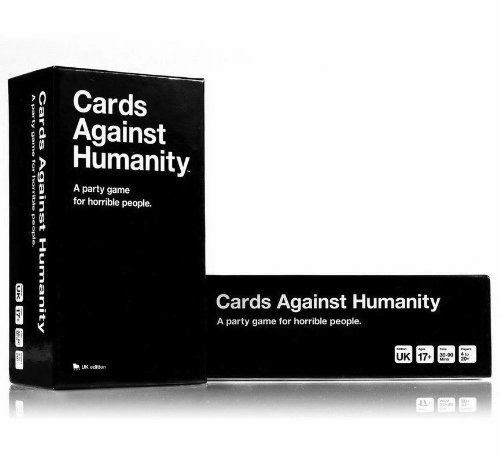 I might be the only one here that doesn't agree but I found Cards Against Humanity to be most tasteless and rude game ever. I understand people have different senses of humour but honestly I was really shocked and I wouldn't recommend it to anyone.